Watching Game of Thrones’ final season in Canada is now a relatively simple process. In years past, Canadians either needed to download the show though illegal torrents, find a way to subscribe to U.S.-only streaming app HBO Now, or have a traditional HBO cable subscription, which also granted access to the now dead TMN Go streaming app. 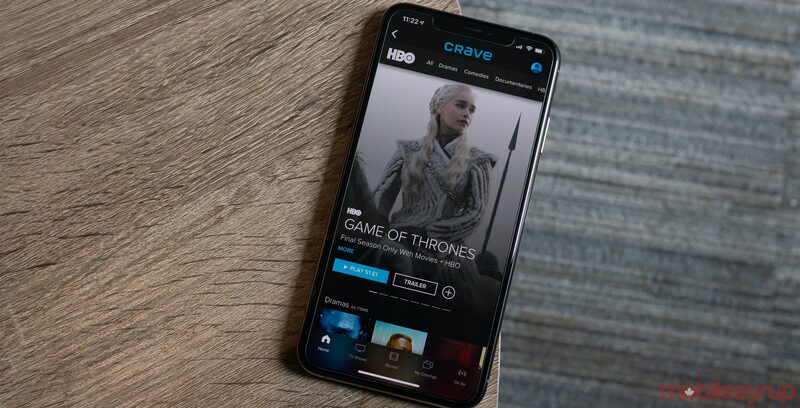 Now, in order to watch Game of Thrones in Canada, all you need is a subscription to Bell’s Crave streaming service. Back in November Bell rebranded Crave TV to Crave. Along with the name change, the company also revamped the platform’s user interface and launched a $9.99 subscription tier that adds current HBO content to the platform. Subscribing to the $9.99 base level tier and then adding the additional $9.99 ‘Movies + HBO’ tier gives you access to live and currently airing HBO content like Game of Thrones Season 8. This brings the total monthly subscription cost to $19.98. To subscribe, navigate to Crave.ca and click on ‘Sign In.’ Next, click ‘Subscribe now!‘ and type your email address and create a password. You’ll then be given two subscription options, either $9.99 monthly or $99.90 a year. The next screen allows you to add Movies + HBO for an additional $9.99 a month, as well as Starz content for $5.99 per month. Movies + HBO subscriptions cost $9.99 per month or $99.90 annually. Starz, which isn’t necessary to watch Game of Thrones, can be subscribed to for $5.99 per month or $59.90 annually. Once you’ve moved through these steps, you’ll be able to watch Game of Thrones Season 8. Bell says that new episodes of Game of Thrones will stream at 9pm ET/6pm PT every Sunday as the same time as the show airs on HBO’s cable channel. 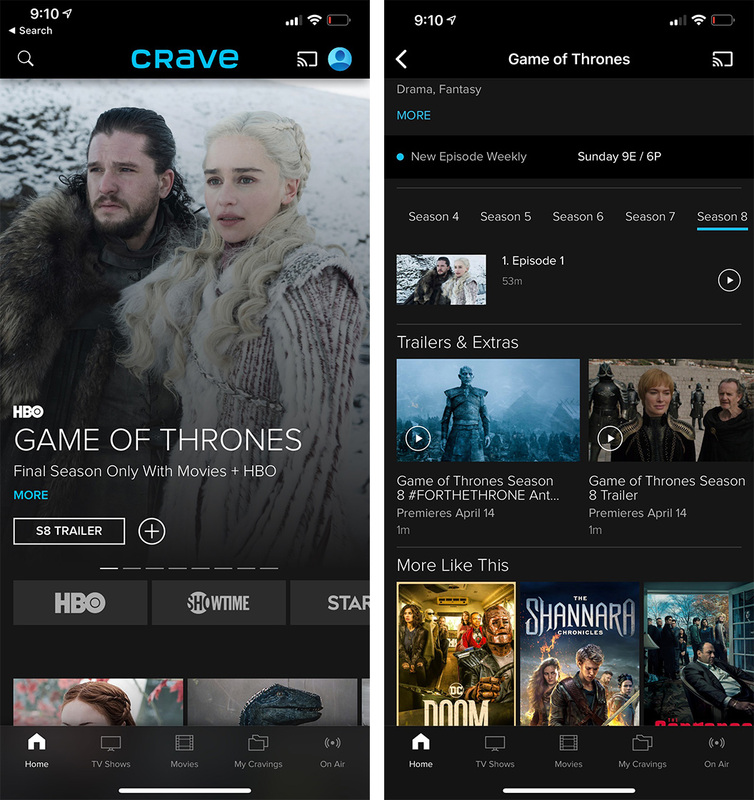 You can also watch every new episode of season 8 live if you navigate to the ‘On Air’ area of the HBO section in the Crave app. Crave is available on iOS, Android, desktop and Xbox One. A PlayStation 4 Crave app is not yet available, though Bell has repeatedly stated it plans to bring the streaming service to the platform in the future. It’s also worth noting that Crave now streams in 1080p on iOS, Android and Xbox One. Previously stream quality was locked to 720p for most content, with Apple’s 4th-generation Apple TV being the only device to support 1080p.